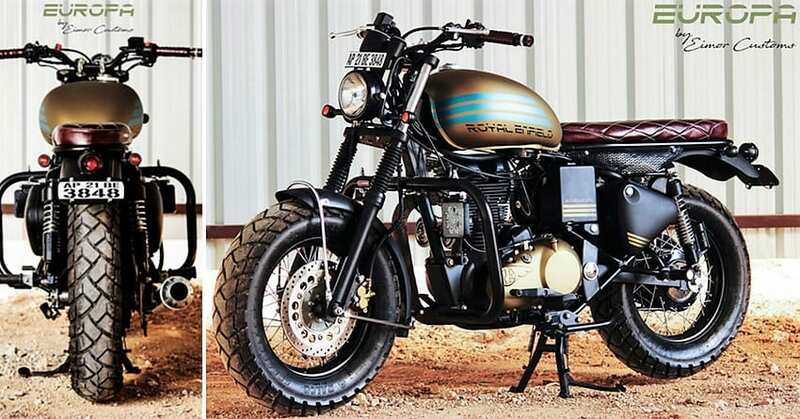 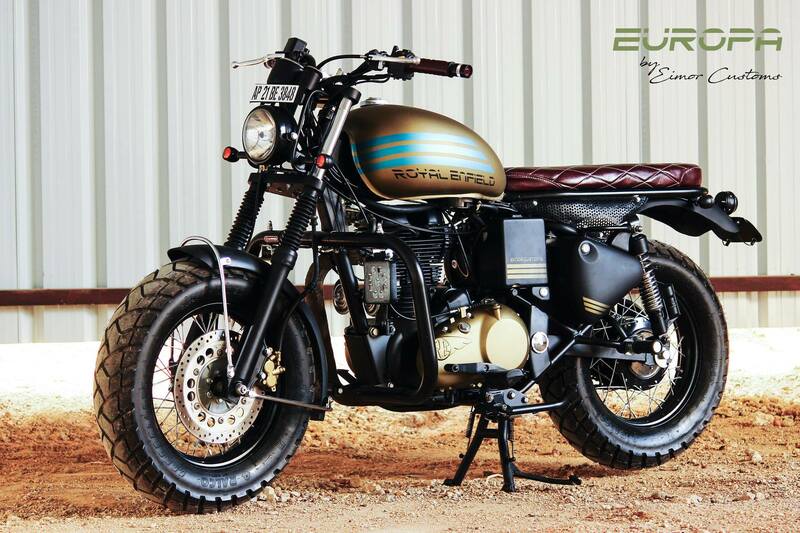 Royal Enfield Classic 500 Europa is an elegant way to express your love for the custom motorcycle designs in India, using the right amount of retro-elements with a pinch of modern Scrambler feel. 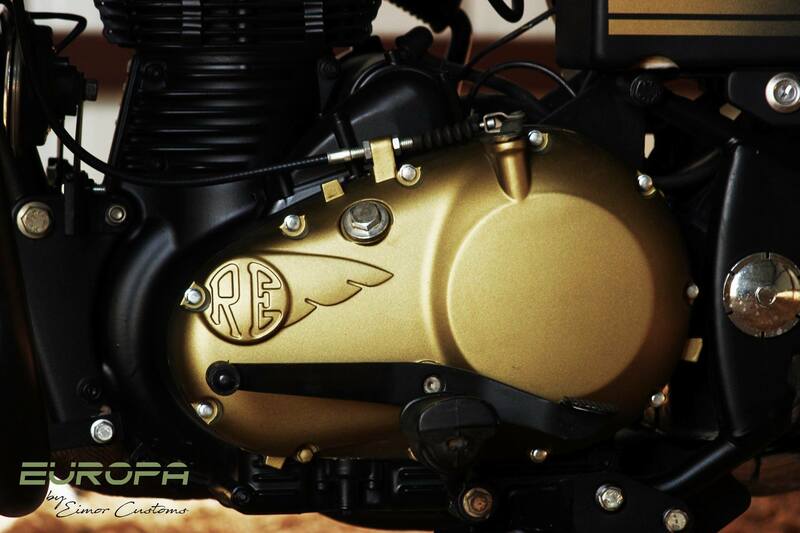 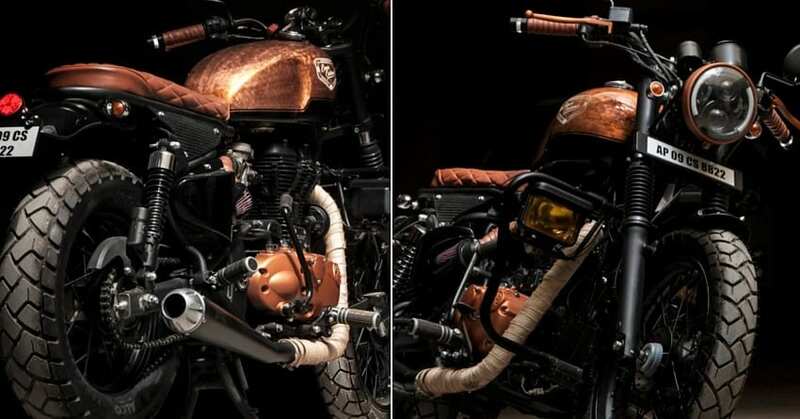 The essence of being a Royal Enfield stays alive through the fuel tank that stays in a familiar shape and comes with golden paint finish with blue highlights. 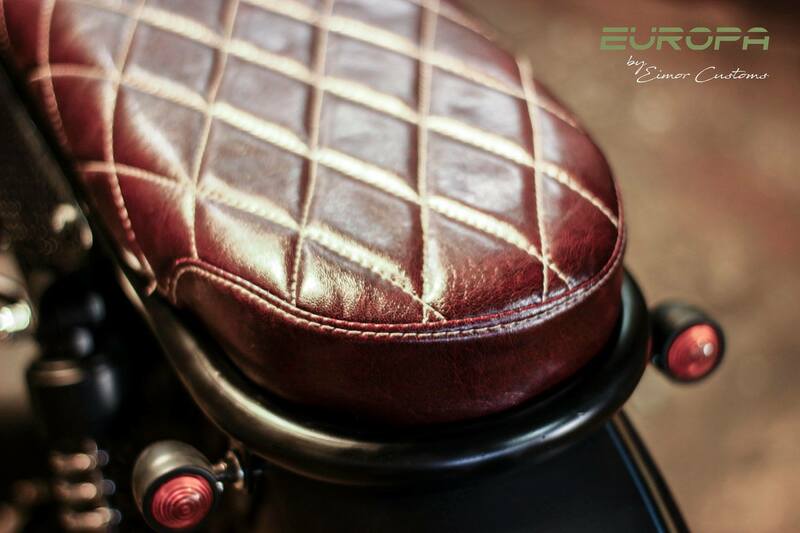 The two-piece seat of the Classic model has been replaced with this flat seat with premium leather cover and diamond-quilted finish. 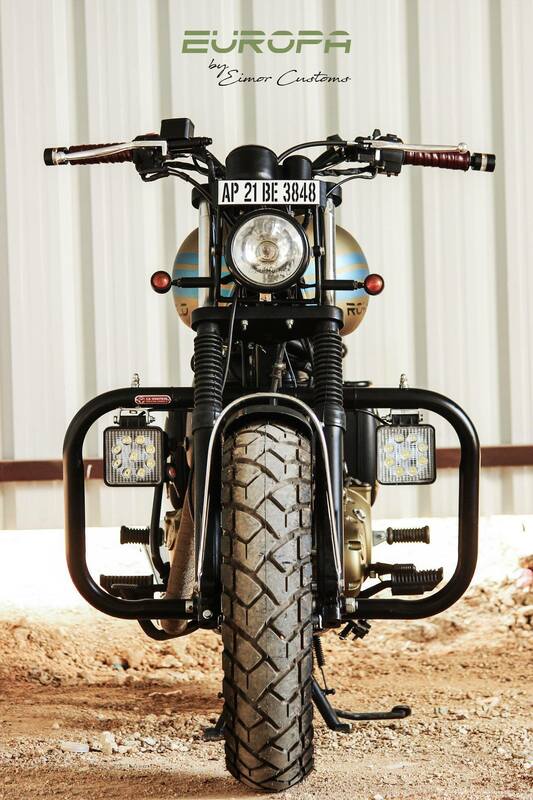 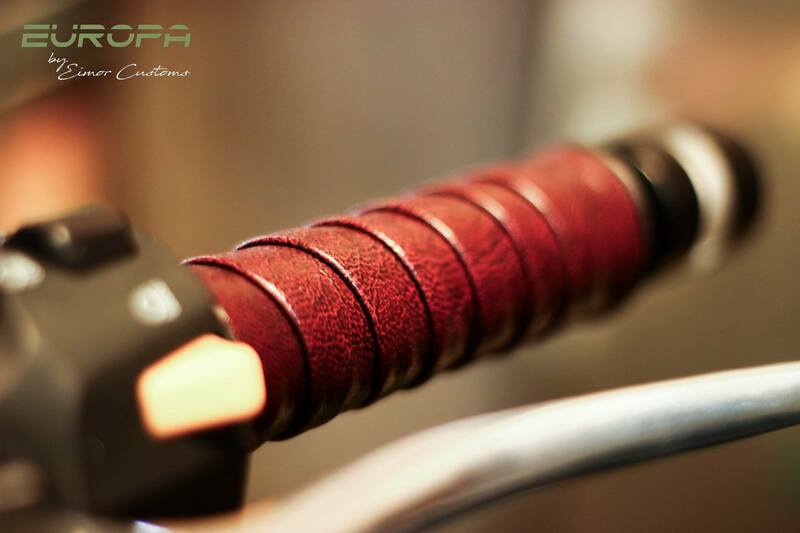 The front and rear suspension stays stock and features colour addition to the rear and rubber covers to the front. 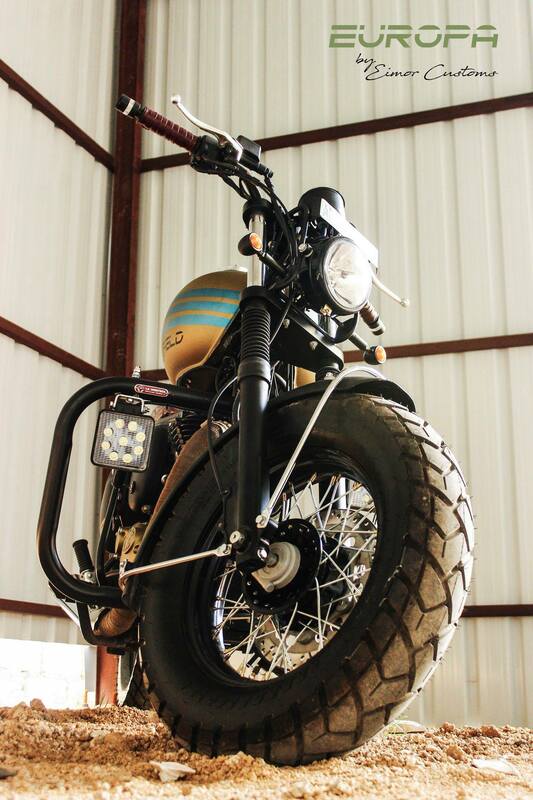 The rims are spoke-type with base black finish and chrome spokes, wrapped around with massive big block tires at both the ends. 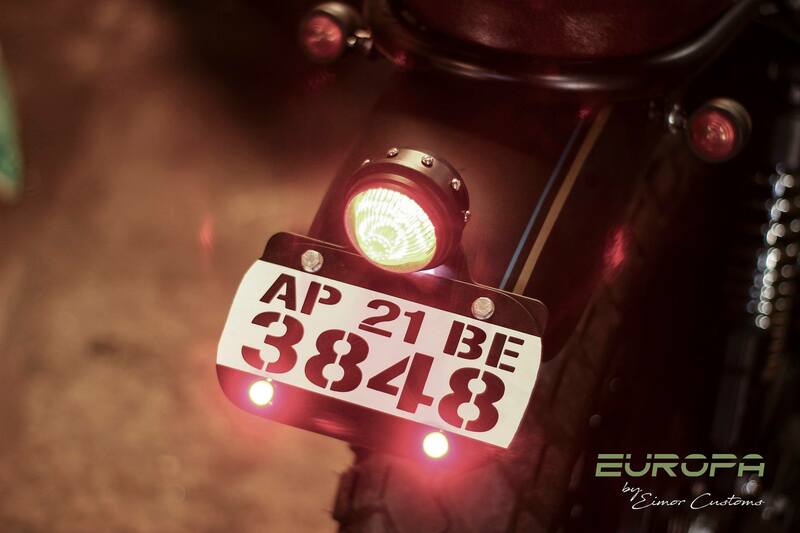 The huge tires add the muscular character to the Classic 500 Europa. 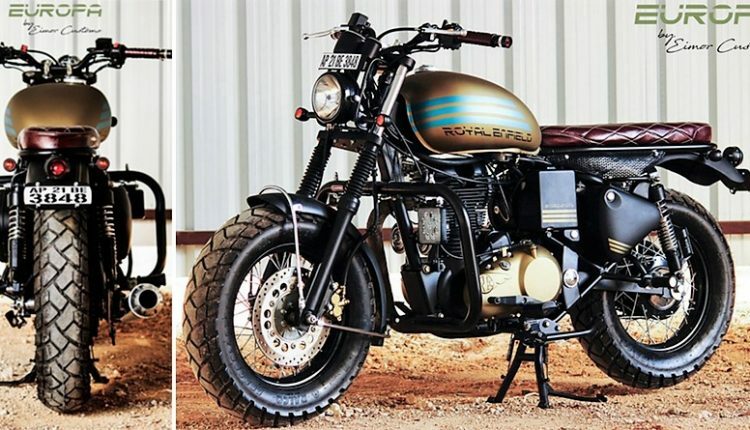 The motorcycle is based on the Desert Storm shade while guessing that is almost impossible with the current level of modification. 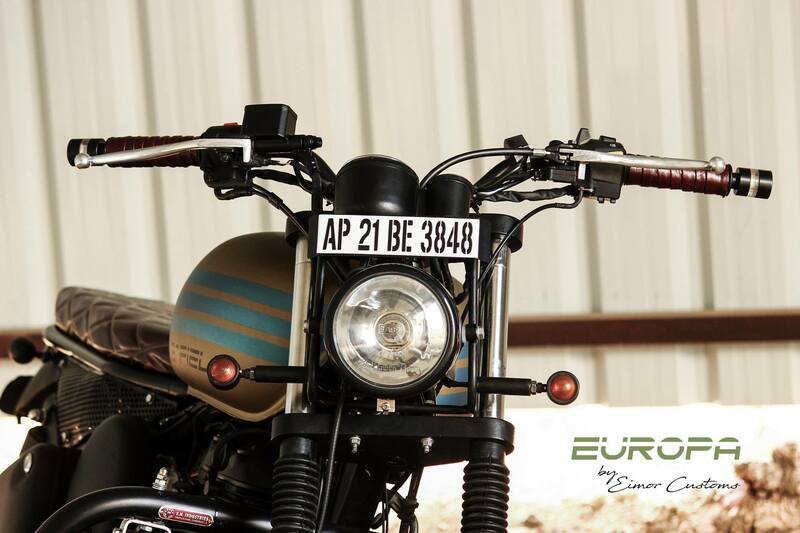 The engine and gearbox section now flaunts black/golden finish while matching handlebar grips were used on the Europa to add some premium feel. 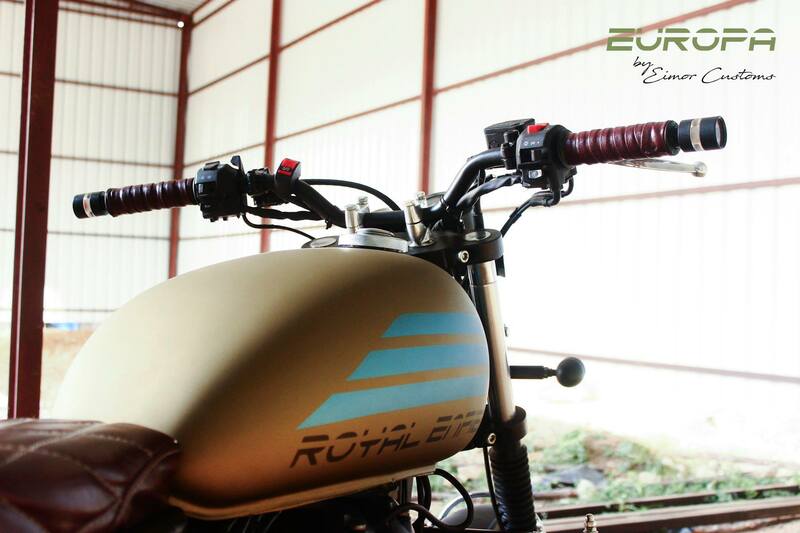 The console is also the stock single pod unit, this time seen without the headlight fairing as all Royal Enfield models. 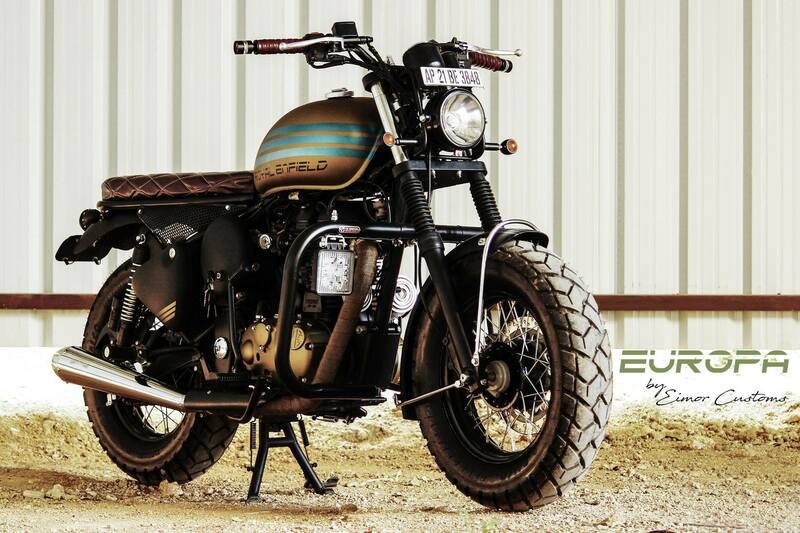 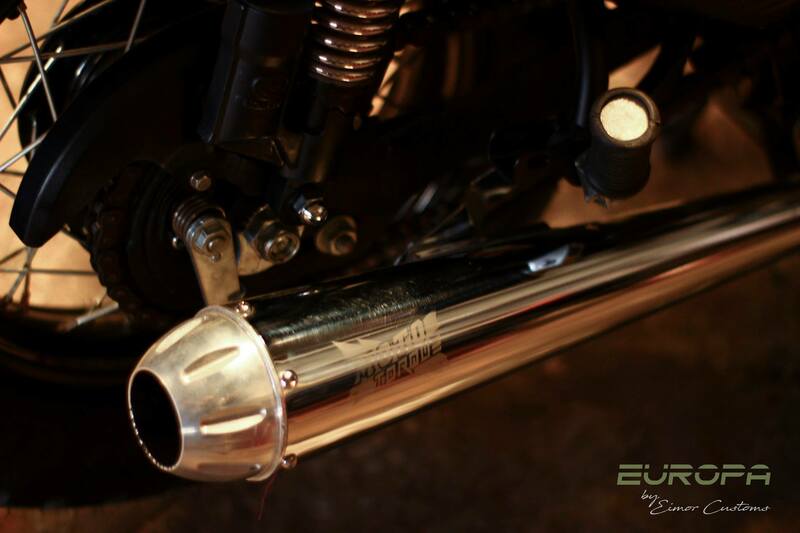 EIMOR Customs have used a chrome custom exhaust system to complement the beauty of Classic 500 Europa. 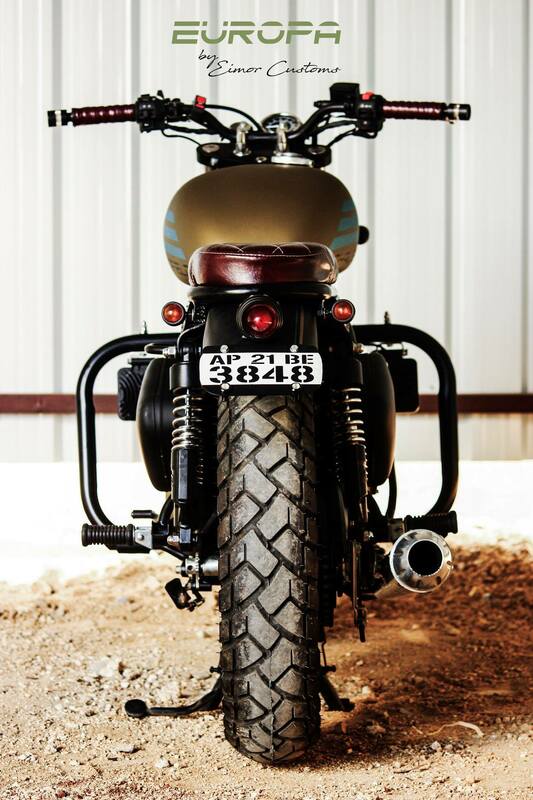 The model seen here comes without a rear disc and thus, one can conclude that the owner has safely spent a long time with his Classic. 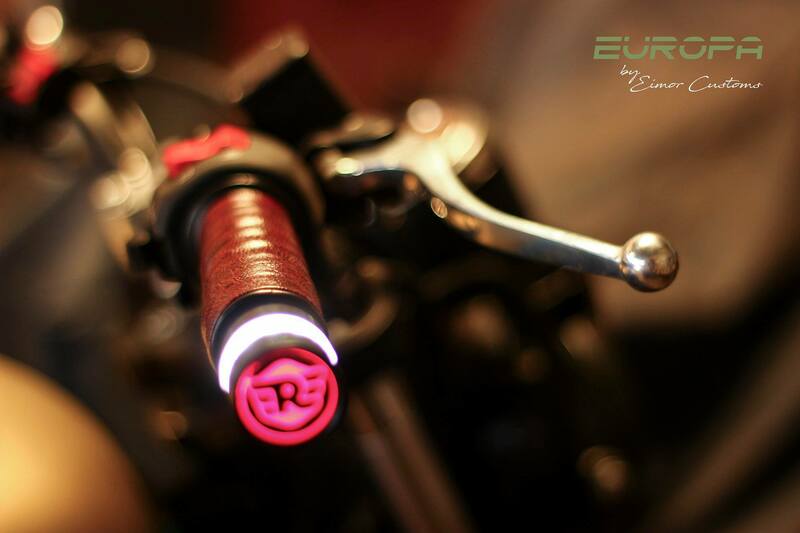 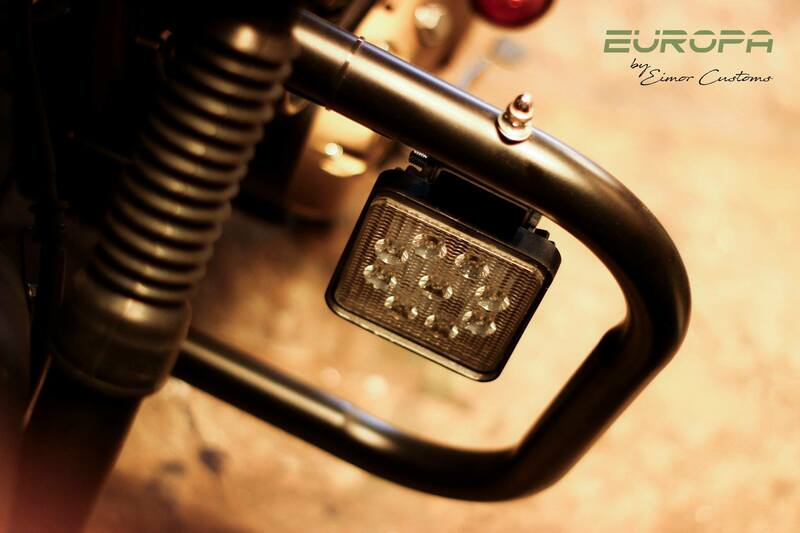 Some of the other additions include bar end weight with indicators and a glowing RE logo, black headlight with halogen illumination, retro-modern indicators and black finished side panels. 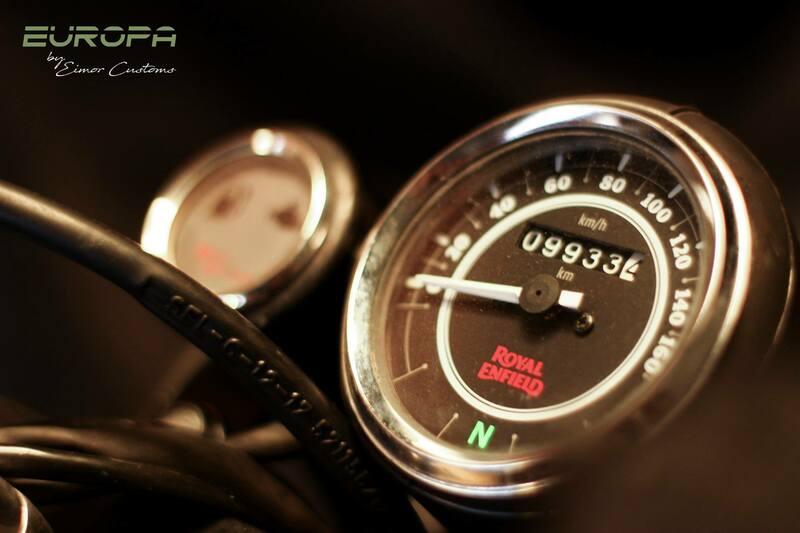 The motorcycle is powered by a 499cc, single cylinder engine producing 27.2 BHP and 41.3 Nm of torque. 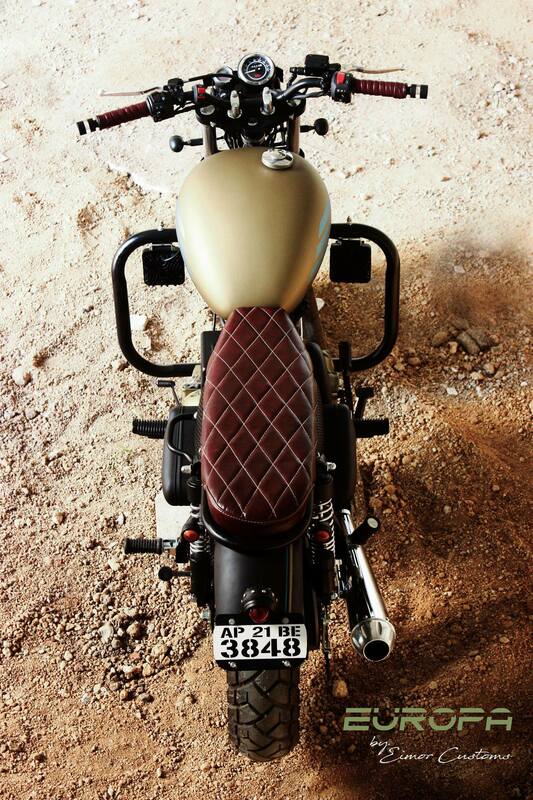 The engine comes with a 5-speed gearbox.